Access any basic social provision. People who do not acquire unlimited residency,have to renew their census data every two years. Christmas and Easter: 8.30-14.30. Monday to Friday. A Spanish identity card (DNI), a passport or an identity card from the country of origin. owner of the residency where you are registered as living. In order to go to the doctor or receive medical attention you need an individual health card (Tarjeta Sanitaria Individual or TSI). To obtain this card you need to be registered in Sitges and request it at the Centre d’Atenció Primària (CAP). Once you have the card, you are entitled to access the public health service. This is a universal and free public right. Open: Monday, Tuesday and Thursday 8am-14pm. Wednesday 8am-20pm. What documents do i need to submit to obtain the tsi (health card)? What Documents Do I Need To Submit To Receive Medical Attention? The Department of Diversity, through their service Sitges Acollidor (Welcoming Sitges), offers information about all resources and existing services in the town for newcomers: registering, getting a health card, schools for their children, and also processing the reports of rooting and regrouping which form part of the necessary documentation that should be presented to the sub delegation of the government. Along the same lines, they also offer a service of legal advice that deals with any issues relating to immigration; ie: residency documents,civil rights and work, etc. Additionally, psychological attention is offered to people with issues relating to migration. Moreover, you will find different courses and workshops that facilitate integration and provide knowledge of Catalan language and culture, knowledge of the history and the traditions of the Sitgetans, and other activities that encourage mutual understanding between all citizens. National Document of Identity (DNI), passport, Identity Document from country of origin. The documentation required will depend on the formalities that need to be carried out. The Department of Gender Equality, through Sitges Dona (Sitges Woman), offers information about the existing resources available to women, legal advice and psychological support, with particular attention given to cases of domestic violence and sexual discrimination. Also you have at your disposal courses,workshops, lectures and different activities related with the emotional and social development of women. Requiments needed to access this resource? For the other centres, you should apply directly at the centre/schools itself. shows NIE in case of foreign student. Original and photocopy of the family book or other documents related to the affiliation. card that shows their NIE. documentation will be considered in order to prove different circumstances. Open indoor playgrounds or centres offer extra-curricular educational activities aimed at children from 3 to 12 years old, outside school hours from Monday to Friday. The activities are aimed at promoting the personaldevelopment of children and their autonomy in order to achieve their integration and socialization within the group and work towards broadening their learning, amongst other activities. Moreover, from de Youth Departamental has designed and implemented a Local Plan for Youth, wich, in a sense broad aims to meet the needs of youth, overcoming the notion that young people need only policies designed to fill your free time. Also organizes in Casal de Nadal (Christmas),Setmana Santa (Easter) and summer. CEIP Maria Ossó i CEIP Agnès de Sitges are collected from the school bus stop. Besides organizing Casals d’Estiu (summercamps). All people over the age of 16 can work. For foreign people to be able to work they need an authorization of residence and of work. La Regidoria de Promoció Econòmica (Department of Economic Development), through its service Nivell10, provides information on everything concerning the labour market. Their own courses aimed at the population in general. aim of matching jobs to job seekers. who are looking for a job or to improve their job. sessions on seeking or improving work. Job club: active area if seeking work. Space for internet access: room free of use with 8 computers connected to the internet. plan, counselling, and training for creating a new business. Centre d’Iniciatives Econòmiques Nivell 10. People over 18 years of age who wish to study or wishing to acquire knowledge about their cultural interest or their hobbies can go to the permanent training centre called La Xarxa de la Regidoria d’Educacio (Department of Education Network). Outside these hours, please call in advance to make an appointment. The enrollment period for each of the courses and workshops that are conducted take place in September. To enroll you must go to the l’Oficina d’Atenció Ciutadana (OAC). Open: Tuesday, Wednesday and Saturday 10am-13.30pm. (Closed on Saturdays from 1 June to 30 September). To acquire a library card of the Diputació de Barcelona, you need to present a passport or resident´s permit. Children under 12 years old must be accompanied by an adult. The Regidoria d’Acció Social (Department of Social Action), through the centre of Serveis Socials d’Atenció Primària (primary attention social services) aims to improve the quality of life and welfare of the citizens of the town. Any resident of Sitges can have access to it. Also, it offers specific services for people with disabilities (Sitges Capaç) and the elderly (Sitges Vital). They provide information, guidance, counselling and processing of resources: social and economic services that provide support to the individual, their family and dependents. To access this service need to call in advance to make an appointment. the demands of their participants. of origin or work card. Neighbours: noise, cleanliness, hygiene, volume of audio-visual equipment, nuisance caused by pets, anti-social behavior, disagreements within the community of residents, building work, air conditioners, elevators, uralite, trees, general misunderstandings. In schools: we teach the children to address their disputes peacefully and through dialogue. We give tools to parents so they can educate their children in a culture of dialogue and coexistence. Spanish citizens, any other citizen of the European Union, Norwegians, Peruvians and Colombians who are registered, may all participate in local elections. With regard to the European elections those with the right to vote are: Spaniards citizens (of age) who have been registered on the Electoral Roll, and citizens of any other European Union country who reside in Spain, are registered in a Spanish town and have expressed a willingness to Spain to vote in the European elections. Catalan is the language of Catalonia and is the official language along with Castilian Spanish. Knowing Catalan helps to communicate with our environment, establish social relationships and gives us a route into the host society. Davallada, 12 Bxs. Edifici Miramar. DNI or working permit or the residency card where states the NIE or passport. El Retiro is a plural entity, open to everyone. From 1870 it has worked to provide sitgetans with a social setting where they can share ideas, make friends, have fun, participate in local traditions, develop their creativity and enjoy the most diverse leisure activities. The Grup d’Estudis Sitgetans (study group Sitges) is an entity that aims to promote the study of history, art, folklore… and other cultural aspects of the town of Sitges and Penedès in general. In this sense three main types of activities are organized: conferences, exhibitions (of which the themes are mainly about Sitges) and the annual announcement of awards that aim to stimulate research amongst young people. 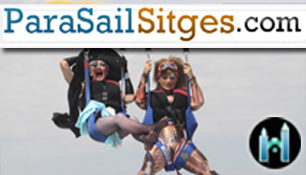 This is an association that promotes the preservation of the traditional dances of Sitges, and is an integral part of the traditional festivities. This school has dedicated thirty years to the teaching and dissemination of the gralla. Classes begin in October and are free of charge. This is a community group that promotes all kind of music-related activities such as performances and concerts. 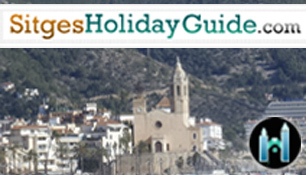 The core of its constitution: this group promotes the traditional values and touristic personality of Sitges and other towns in the local area. This is a means of increasing economic development and prosperity. Associació de comerciants Carrer Sant Pau de Sitges, Associació de comerciants Poble Sec de Sitges, Associació de comerciants Oasis de Sitges, Associació de comerciants Casc Antic de Sitges. (sitges@acasitges.org), Associació de comerciants Carrer San Francesc de Sitges, Associació de veïns comerciants i amics del Cap de la Vila i Carrer Jesús de Sitges and Associació de comerciants Sant Josep de Sitges. The main aim of the ADEG is the promotion of economic activity and the development of the business environment. With the constant generation of new services and the continued production of performance, the Association encourages the flow of information, modernization and free competence of its affiliates, on the whole business environment Penedès and Garraf. C/ de La Beneficència, 17. Women’s Enterprise (Female Entrepeneurs) is an entity that brings together female entrepreneurs, business women, executive directives of Penedès and Garraf in order to give support, share experiences, and create a trading network amongst ourselves. The Garraf Builders Guild, Know about construction and its related businesses so we provide our members with all the tools necessary to maximize the competitiveness of their companies as well as dealing with their problems personally through the best specialist in different fields. daughters. They organize cultural activities and activites that promote the family. An entity of social and recreational character giving support to Paraguayan citizens. The main aim of the foundation is to establish and implement a support program for all areas of personal and social needs for people with learning and physical disabilities. Offers direct care to people with any problems and/or needs. A humanitarian institution which aims to work with the most vulnerable people, which depends on the help/support of volunteers. It organizes courses in health care,lifesaving and yoga for the elderly. It also offers Aula Gaia, that provides support classes for school pupils. It aims to disseminate the culture of peace, solidarity and justice amongst the population of Sitges. Although its activities are centred in the field of raising awareness, they have also collaborated with several projects cooperating with development in Bolivia. This is a network designed for professionals of Sitges with an enterprising mindset, to meet each other and exchange ideas and projects. All those who are interested in meeting other professionals and finding partners and/ or customers for their ideas and projects, are welcome. The network is open to everyone, regardless of their field of work or nationality. Amongst other advantages, sport as a health practice integrates elements of cultures and facilitates human and social relationships. The main objective of La Regidoria d’Esports (Department of Sports) is the promotion of sport and physical activity amongst its citizens by organizing activities directly in municipal and school installations, as well as offering support to various sporting entities in the town. 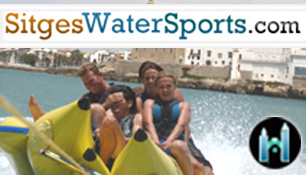 The sports that can be practiced in Sitges are basketball, bowling, hunting, horse riding, chess, climbing, squash, fitness, frontennis, football, volleyball, table tennis, indoors football, rhythmic, golf, handball, skating, korfball, motor, climbing, swimming, sailing, paddle, fishing, bowls, rugby, diving, tennis, triathlon, judo, batuka, hip-hop among others. you need to contact or go to the Oficina d’Atenció Ciutadana (OAC). For people who want to dedicate a portion of their spare time to help others, either continuously or occasionally and within the framework of a stable non-profit organization. The volunteering responds to a culture of solidarity that we should strengthen. DNI (Identity Card) or working permit or passport or residency card where states the NIE. The “festes populars” (popular festivities), like the Carnaval and Festa Major (main fiesta), among others. The documentation required depends on the activities to be performed. Open: Monday to Thursday 8.30am – 18.30pm. Friday 8.30am – 14.30pm. Saturday10am – 13pm. From 15th of June until 15th of September, Christmas and Easter: 8.30pm-14.30pm Monday to Friday. 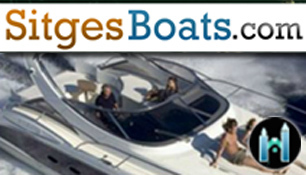 The documentation required depends on the process that is to be carried out.